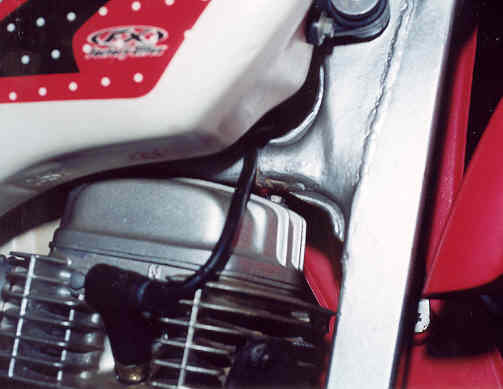 Location of the carby and connection of it to the motor and airbox requires a bit of thought. 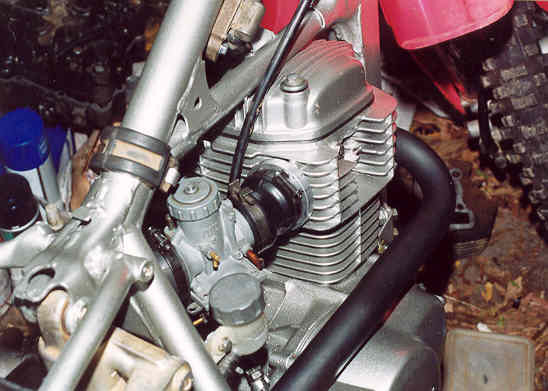 Note that the shock has not been swapped around as the carb sits up under the tank. Its a Mikuni 24 mm round slide. The exhaust is fairly straight foward, just bending and welding. 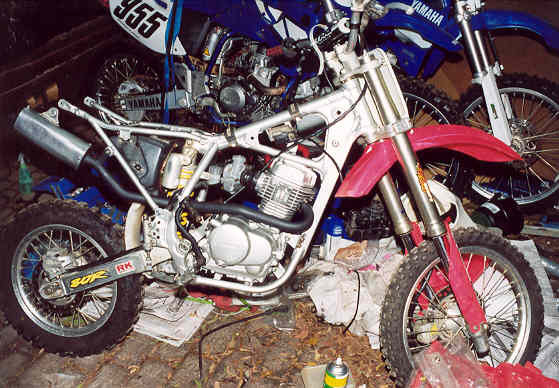 The CR80 muffler has been fitted with a bigger core. Nice note! Pictures of Matt racing the CRF here.